Obituary for Carol I. (Hart) Knapp | Robert L. Snyder Funeral Home and Crematory Inc.
Carol I. Knapp, 339 E. Jamestown Road, Greenville formerly of Fairview Twp. 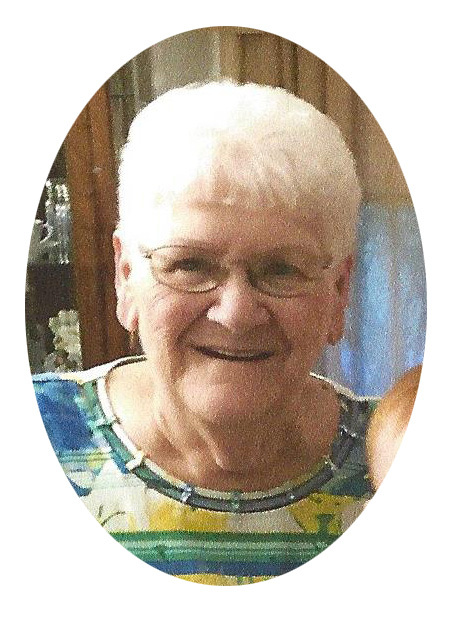 passed away Thursday afternoon, March 28, 2019 at the St. Paul’s Home, Greenville. She was 83. Carol was born in Greenville on July 14, 1935 a daughter of the late Howard and Elsie (Patterson) Hart. On November 3, 1956 she married Everett W. Knapp who preceded her in death on May 24, 2012. Carol had been employed for many years at the former Fredonia Greenhouse and later went onto be employed as a custodian at the Lakeview High School. She had attended the Oak Grove Church. She is survived by two children, Lisa Harshaw and her husband Duane of Meadville and David Knapp and his wife Sheila of Harrison City; a sister, Norma Boney, Austintown, OH; two brothers, Richard Hart, Columbiana, OH and John Hart, Twinsburg, OH. ; 2 grandchildren, Tyler Harshaw and his girlfriend Alexandra Craig and Morgan Harshaw and a great grandson, Kamden Harshaw. She was preceded in death by her parents; her husband; an infant daughter Cindy Knapp; two sons, Dean C. Knapp and Douglas W. Knapp and a brother, James Hart.